The 5 Worst “Director’s Cut” Films. 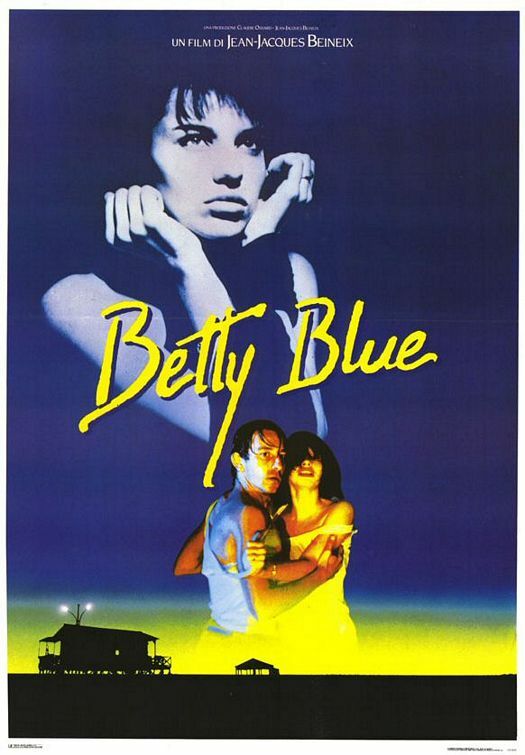 Beatrice Dalle in Betty Blue. There are two ways that a Director’s Cut gets released. Either the director and the studio fall out, and they each release a different version of the film, as with Cimino and Heaven’s Gate in 1981. Or alternatively, a director returns to a film to un-do the changes that were forced upon him at the time, which is what happened to Lawrence of Arabia (’62), when David Lean went back to it in 1989. Looking at the all too conventional films Ridley Scott has made since, it’s pretty obvious that Blade Runner became a cult classic despite rather than because of its director. And none of the slight changes that Scott made to the many alternative edits are an improvement on the version released by the studio. On the contrary, both the voice over and the so say “happy” ending that they insisted on are perfectly in keeping with its noir feel. When Tornatore complained that he’d been forced to edit down his remarkable debut, we all of us wondered how on earth his new director’s cut would improve on the original version we’d all been so charmed by. Well it didn’t. The Producer’s cut was leaner, sharper, and significantly better paced. And a proper director oughtn’t to have needed his producer to deliver it. Disappointingly, but unsurprisingly, nothing Tornatore has done since has lived up to that early promise. Nastassja Kinski and Gerard Depardieu in The Moon InThe Gutter. So explosive and compelling are the opening 20 minutes or so of this, that you try to ignore the fact that as it progresses, the film comes increasingly to sag. Secretly though you wonder whether perhaps the film’s palpable appeal might be down to the chemistry and sparks produced by the two fiery leads. The Director’s cut alas, answers that. Beineix’ casting is impeccable, as it was in Diva and the underrated The Moon In The Gutter. And all three of those films look fantastic. But as the longer version of Betty Blue shows, Beineix has alas no feel for drama. And he too has sadly if all too predictably faded from view. It’s not hard to see what happened here, when you’ve watched the two versions of The Abyss side by side. Originally intended as a dreary special effects vehicle, the project was clearly hijacked by the two leads who turned it instead into a charming love story. The “special” version, as James Cameron called his Director’s cut, mercilessly takes whatever charm the original cut had and clubs it unceremoniously to death. 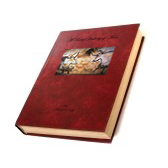 And never again would a couple of pesky actors be allowed inject a sense of humanity into one of his projects. From that point on, all of his films would be “special”. 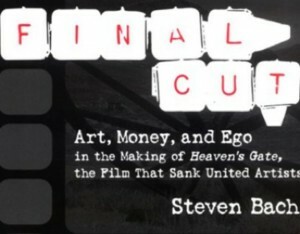 Steven Bach’s magisterial Final Cut. One of the myths surrounding Heaven’s Gate is that it ran aground because Cimino was forced to release the truncated version. As a matter of fact, they’re equally awful. It’s just that one of them is awful for a lot less of you time. There’s stuff everywhere. Props and costumes and noise and sound effects and music and noise and dialogue, really, really bad dialogue, and noise and just about anything you could care to mention, except anything approximating a believable story. Or any character made of anything other than cardboard, and constructed using more than the one single dimension. It does have one saving grace though. 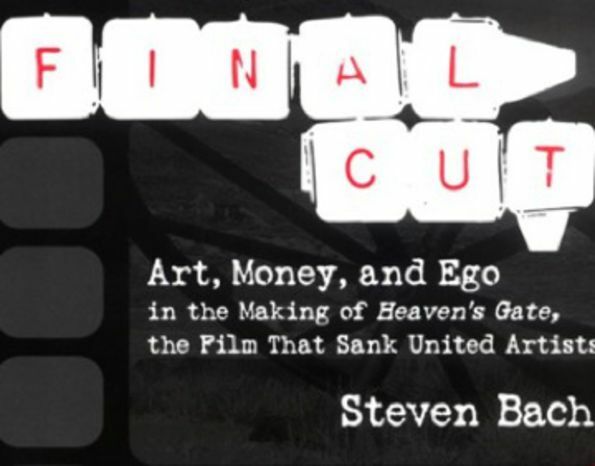 It led to Steven Bach writing his magisterial Final Cut here, one of the best, and one of the most beautifully written books on modern cinema. If anyone can think of a Director’s Cut that was an improvement on its original, I’d love to hear about it. Sign up for a subscription right or below and I’ll keep you posted on All the Very Best and Worst in Film, Television and Music!